Stratton Home Improvement and Repair L.L.C. is the area’s window installation and window replacement specialist in Lapeer. Our experienced carpenters do the job right the first time. Windows play an important role in your home, both functionally and aesthetically. Window products must be of the highest quality and workmanship, which is why we only install the finest window products available. Let us help you with your window needs! We offer 3, 4, and 5 star warranties on all of our windows. Our product prices vary and we can find a product that fits everyone’s budget. 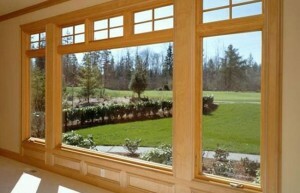 Our window products meet high energy standards including those set by the U.S. governments energy star program. Our products can include Low-e glass, insulating glass, and solar control glass. Whether you want double hung, slides, picture, bay, or casement windows, we can do it all. Stratton Home Improvement offers quality interior and exterior doors with our employees having superb installation knowledge. We also offer product and installation of garage doors and sliding doors. Our suppliers carry quality products that can fit any budget. To find out more information on our door services, feel free to call our office at (810)664-6785 and we will be happy to supply you with product information.